I smiled and nodded. He wanted his picture taken with the car right away, and he promptly asked to sit in the driver’s seat. He then wanted the pic emailed to him, so he could forward it on to all his friends. So I’m happy to say that my masterplan to be in with the cool fifth graders has finally come to fruition. Sure, it took 25 years, but I play the long game, folks. All I had to do was get old, hit a turkey on the freeway, and get a random rental car assigned to me. 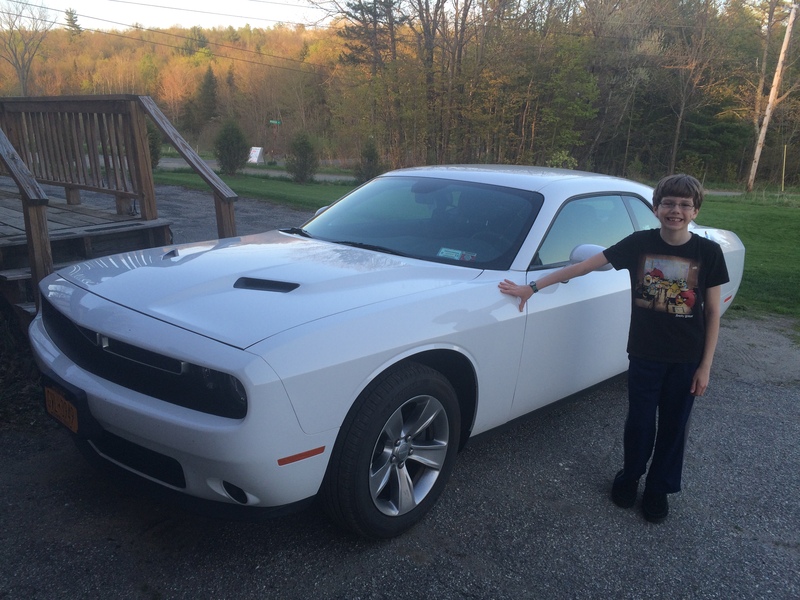 Now if only driving a Challenger made me feel as cool as it makes TRC feel . . .